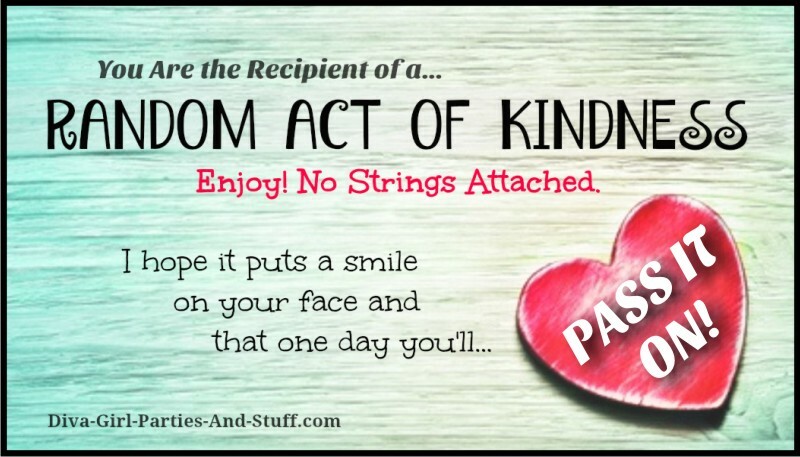 February 17 is Random Acts of Kindness (RAK) Day. Although kindness should be shown each and every day, RAK Day is a yearly reminder to celebrate showing kindness to one another. Smiling at people, holding the door open for someone, or paying for a stranger's coffee may seem like pretty simple acts. It is likely many of us do them often, but there are days that life just grabs a hold of us and we're so lost in our own thoughts and problems that we unintentionally ignore what is happening around us. Today I challenge you to pick a couple of things on the list below (or come up with your own) and ACT on them. 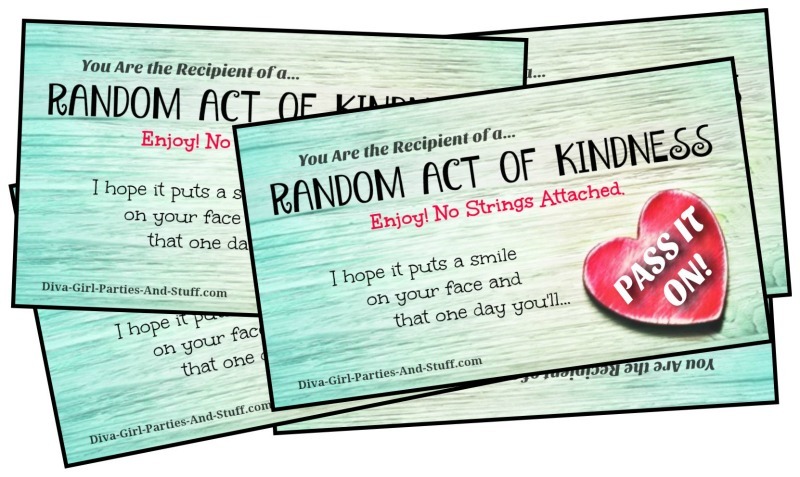 Download and print our RAK cards on cardstock paper, cut them out, and hand them out to those you share kindness with to encourage them to pass it on. Be friendly, spread love, inspire kindness- not just today, but every day. Make a few extra servings when you cook tonight and bring it to someone in need. Offer to bring someone working outside a beverage (either cold or hot, depending on the weather). If you notice someone appears lonely, sit down beside them and chat for a few minutes. Offer a busy mom free babysitting for two hours (or however long works for you). Leave a note and/or treat in the mailbox for your mail delivery person. Pay the tab for the person behind you at the drive thru. Offer to carry someone's groceries to their car. Read a book to someone at a nursing home. Write a note of encouragement to someone. If you're headed to the store, call someone who is overwhelmed and ask if you can pick up anything for them. Offer to take someone who doesn't have a vehicle on an errand run. Pay a compliment to a stranger who comes across your path today. Keep extras of little things people use every day (like Kleenex or gum) and pass them a package when the run out. 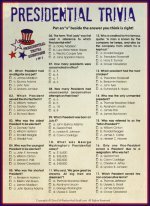 Get your free printable RAK cards by filling in the form below. 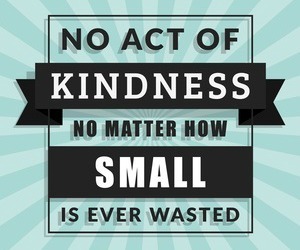 Print them on cardstock paper and cut them out to have ready for sharing random acts of kindness.